Some Area Info: Greensboro, the southernmost town in Orleans County with a population of approx 770, Greensboro spans over 39.4 sq. miles or 25,216 acres. Chartered in 1781, The Bayley Hazen Military road was essential to it’s development. At a later date, another road branched off of the Bayley Hazen road and came to be known as Hinman Settler Road, which traveled all the way to Derby and into Canada. Another essential piece to developing Derby, VT.
Attractions and Recreation: Greensboro is home to the “Circus Smirkus”, a non-profit, traveling circus. It also boasts Hill Farmstead Brewery which has voted Best Brewery in the World 3 out of the last 4 years. Caspian Lake lies within Greensboro and offers a beautiful, serene setting which continues to hold strong property values should you be fortunate enough to live there. Beautiful renovated 3 bedroom contemporary home w/attached garage offers 1 st floor gourmet kitchen w/stainless steel appliances, dining area, living room w/vaulted ceilings and magnificent mountain views, main floor bedroom and laundry room w/3/4 bath. 2nd floor offers 2 bedrooms and full bath. Continue to 3rd level for another bedroom or office/study. Crystal clear 14 foot deep pond for swimming and fishing in summer and skating in winter. 30x20 pole barn for equipment, quaint little garden shed. 32x16 building great for entertaining complete bar & pool table w/electricity, water, septic. 60x32 commercial building complete w/3 offices, lifts, 14 ft. ceilings & bath. All of this located on just over 10 acres. This splendid property consists of 93 acres 1 mile from the town of Greensboro on The Bend Road which is paved. You enter the property on an improved driveway and about 200 yards in you come to a beautiful 1 acre man made pond. There is a camper on the the ready made house site overlooking the pond. Following the road around the pond and to the left you see a well established sugar bush with about 4000 taps. Perfect for a small hobby operation. There are trails and logging roads through the property. There is much to explore here so bring your hiking boots and enjoy. 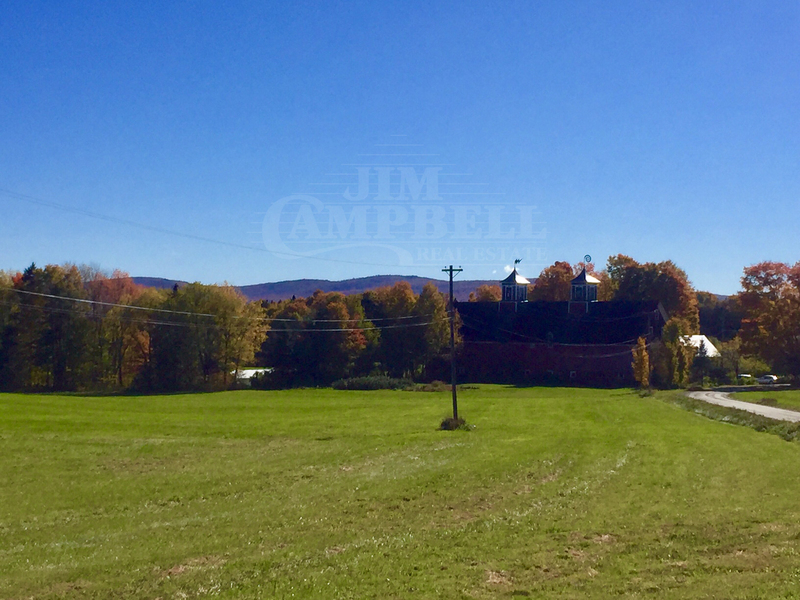 This property has frontage on Vt Rt 16. Across from and overlooking Horse Pond. There are very good building sites on high ground with great views down the valley. A good drive leads up to one of the building sites. Many nice sugar maple trees (2-3,000 taps) are on this property. Power is along Rt 16. Has open areas-5-10 acres. Exposure is South east, south west. Very private. Road frontage on each side is 3,000'. Traffic flow on Rte 16 is very low. Great spot for small farm or building lot. Welcome to this newer 3 bedroom, 3 bath home situated on 1 acre in Greensboro bend, located minutes from the best beer in the world! On the main level there is an open concept with great flow, a wood stove, and tile and natural wood finishings that add textured warmth. On the second level you will find 2 bedrooms with a shared bath, and the master en suite that has its private balcony. In addition there are two bonus rooms on the upper level, endless opportunities! Wonderfully maintained home situated on Main Street in the quaint village of Greensboro Bend. This home has been updated but still has the warm & inviting feeling from the moment you enter the home capturing the beautiful Victorian flair, reminiscent of an era gone by. Renovations of record starting in 1999 - 2018; please see attached list on SPIR for details & dates. The first level offers a spacious eat in kitchen with a walk in pantry & laundry room, a lovely formal dining room, bright living room with built in bookshelf, a private office, a formal front foyer and full bath. The second floor features a cozy nook in the upstairs foyer and 4 bedrooms, including the spacious master with a sitting area, a large walk in closet plus a separate dressing room. Additional features include an attached barn with 2 bays for workshop and storage, plus a walk up 2nd floor great for storage or even a potential game room with a little imagination. A detached 1 car garage provides even more storage options. You will be sure to enjoy the outside space as much as the interior with the extensively landscaped lot, private back yard with the 18' above ground pool and the cozy covered front porch to relax on. Walking distance to the park, post office and village store. Come discover how this home will best suit your life. Move in ready!